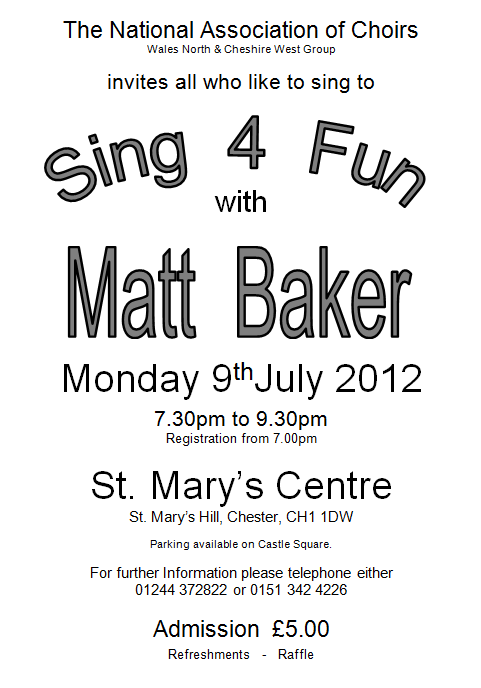 Kelsborrow Choir – A Cheshire Community Choir » Past events: Mon 9th July NAC workshop open to all! Past events: Mon 9th July NAC workshop open to all! Will be a brilliant event – click here for full details!! What a brilliant evening the NOC put on! Matt Baker is a very motivating, and the choice of activities/ music very entertaining. will certainly go again.